This is my favorite cologne. I've been wearing it for years and Overstock has the best price by far. Delivery is always quick and the product arrives as described. Create a lasting impression with this sophisticated Burberry fragrance. Bergamot provides a fresh citrusy tone while other notes, such as tobacco leaf and leather, evoke masculine ruggedness. Cinnamon and pepper add a spicy, adventurous twist. I have bought about 7 fragrances from Overstock.com withing last year,and until I bought this fragrance I did not have any problems. When I received the fragrance It looked like the original, but soon after I removed the plastic wrap I noticed that the serial number on the bottom of the box has been scratched off and put new sticker over it and they have scratched out something in side the box too. This means the box has been opened at some point and you never know what one has done to the product. The bottle looked original and the serial number on this specific fragrance comes engraved on the bottle. I collect fragrances and I have had this fragrance before so I know that every bottle of fragrance and the box comes with the serial number. I tested the fragrance and it smells the same. I'm very disappointed about this product and as a collector I expect the original product which was not opened before. I would not recommend any one to buy this product from Overstock.com if you are expecting an original product. With this same order I ordered two more fragrances and one of the fragrances (lacoste essential) had the same problem. I also have two other fragrances on the shopping cart to buy, but I probably will not buy it from overstock.com. 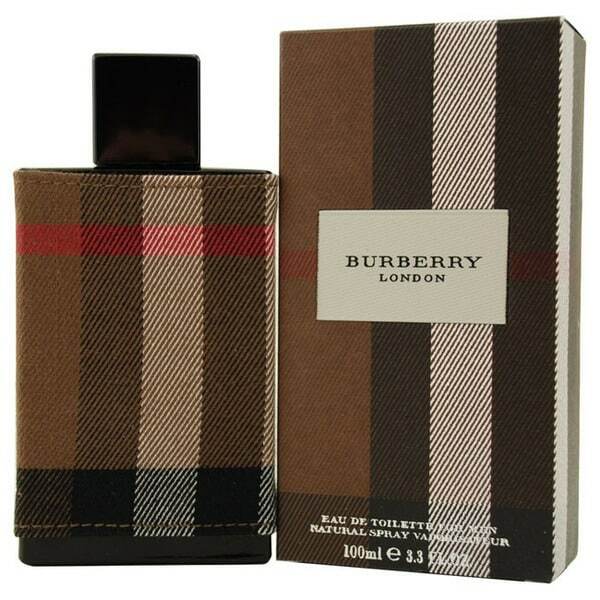 This Burberry London Men's 3.3-ounce Eau de Toilette Spray is one of my favorite fragrances. My wife loves the smell, and I get many compliments at the office. I think the price at Overstock is very fair, and it is always in stock for a quick refill. Smells so wonderful and manly! If you like a musky, woodsy smell on your man then you will love this Eau de Toilette Spray!!! Smelled Great, Husband loved it! This eau de toilette was wonderful. My husband loved it-- and that's good because he's the one who has to wear it :) Not too strong, but woodsy and lasts a good while. Would definitely buy again. Looks the same but Not! You get what you pay for. I had read the reviews on here but was hopeful. All of the stores that used to carry this brand, Burberry London, are no longer carrying It so I had to turn to an online option. Knowing that a 3.3 oz bottle of Eau de Toilette Spray usually runs about *** I was pleased to find it for half the price. However, the one review I read from another writer strikes true. The bottle, cap, sprayer, cloth cover are all the same. However, the label at the bottom reads slightly different and the serial number was on the side, not on the bottom as it was with my previous bottles. When I apply it, it is so soft a fragrance that I barely know I put it on. I find myself using twice as much just to get the same potency to last a day. Sooo, the half price is made up by using twice as much. It disappoints me that so many times, something I use is discontinued by a company, apparently, they have discontinued this product and there are some "Forgers" out there making duplicates. It is a shame that companies like Overstock continue to carry something that is sold as the original but obviously is not. I really like Burberry of London the most out of all Burberry fragrances. I have received compliments from lots of ladies. Not sure why this scent was ever discontinued. It’s one of my faves on my husband. Unlike most Eau de Toillettes, this one lasts and lasts. The price can’t be beaten. Highly recommended. I always receive compliments on Burberry London. Burberry London is my favorite fragrance for the cool winter months. I highly recommend it. I will always keep Burberry London in my collection. My only gripe with it is that it does not have a lasting power. You will need to douse yourself with it to get any desired effect. It is a EDT and does not last like EDPs. My son loved the cover and took it from me. Whenever he uses it, it smells great but as said, it does not last very long. My son was very happy ! Was a gift for my Son he loved it ! Product came when it was expected to arrive, and was packaged exactly how the description said it would be. One of my brother's favorite colognes, and got it at a great price. This is an amazing scent! I love it and the price beats department stores. It is light and great for everyday. Amazing colonge..... The smell its very soft and sweet. Good for any time of the day. I got it before the time it was suppose to arrive. Its stays on you like a soft baby perfume. I've been getting alot complement, staring with my wife. It last the whole day on you. Very classic! This bottle is huge, twice the size of the previous bottle we had and half the price of ***. It’s a really nice scent, classy and sophisticated. Shipping was quick, arrived 2 days sooner than my estimated delivery date. This fragrance smells so good on my significant other. I can’t stop smelling his neck! It was an anniversary gift at a great price.it was well worth it, I will be purchasing again as a regular fragrance. Great cologne! The bottle is also very sleek looking. "Does this come with the perfume box?" Yes, this will come in a box and wrapped like you were to buy at the store. "is this authentic. i am trying to buy this for my dad"
Please be assured this item is completely authentic. "what is the size of this perfume ,3.3oz or travel size ?" Hello cooldude, this fragrance is 3.3 ounces. Thanks for shopping with us! I always use this cologne. I always love the way this smells since release!!! !